CIA operations follow the same recurring script. First, American business interests abroad are threatened by a popular or democratically elected leader. The people support their leader because he intends to conduct land reform, strengthen unions, redistribute wealth, nationalize foreign-owned industry, and regulate business to protect workers, consumers and the environment. So, on behalf of American business, and often with their help, the CIA mobilizes the opposition. First it identifies right-wing groups within the country (usually the military), and offers them a deal: "We'll put you in power if you maintain a favorable business climate for us." The Agency then hires, trains and works with them to overthrow the existing government (usually a democracy). It uses every trick in the book: propaganda, stuffed ballot boxes, purchased elections, extortion, blackmail, sexual intrigue, false stories about opponents in the local media, infiltration and disruption of opposing political parties, kidnapping, beating, torture, intimidation, economic sabotage, death squads and even assassination. These efforts culminate in a military coup, which installs a right-wing dictator. The CIA trains the dictator's security apparatus to crack down on the traditional enemies of big business, using interrogation, torture and murder. The victims are said to be "communists" [or these days "terrorists"] but almost always they are just peasants, liberals, moderates, labor union leaders, political opponents and advocates of free speech and democracy. Widespread human rights abuses follow. 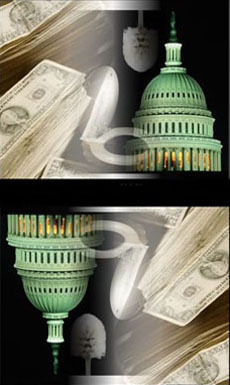 The U.S. Central Intelligence Agency, as is by now well-known by anyone who has cared to be informed, has long been deeply involved in the international trafficking of the addictive drugs heroin and (since the early 1980s, if not earlier) cocaine, the enormous profits from which have financed, and continue to finance, both U.S. covert operations and the U.S. military (via payments to Pentagon contractors). The main reason why this is not more widely known is that the main players in the U.S. media have always worked to protect the Agency and to keep the American public in the dark as to the nature of its activities (as documented in great detail in Carl Bernstein's article in the October 20, 1977, issue of Rolling Stone: "The CIA and the Media: How America's Most Powerful News Media Worked Hand in Glove with the Central Intelligence Agency and Why the Church Committee Covered It Up"). The information you will find on this web page, and the web pages it links to, is not considered by the editors of the New York Times and other mainstream U.S. "news" media as proper for the public to know. By the end of the 1980's it was calculated that the illegal use of drugs in the United States now netted its controllers over $110 billion a year. — Modern Times, p.782. Covert government by defense contractor means corrupt wars of conquest, government by dope dealer. When the world's traditional inebriative herbs become illegal commodities, they become worth as much as precious metal, precious metal that can be farmed. ... Illegal drugs, solely because of the artificial value given them by Prohibition, have become the basis of military power anywhere they can be grown and delivered in quantity. ... To this day American defense contractors are the biggest drug-money launderers in the world.— Drug War: Covert Money, Power and Policy, p.318. Most of this page concerns the CIA's involvement in drug trafficking, but we should first note that this is only one part of its activities, the means by which it finances its operations in addition to the billions of dollars it gets from U.S. taxpayers courtesy of the U.S. federal government (the exact amount, of course, being kept secret from U.S. taxpayers). In addition to being the principal source of U.S. propaganda for domestic and foreign consumption the CIA is the covert operations division of the U.S. goverment and as such has engaged in many terrorist activities. In fact the CIA is a terrorist organization, funded by the profits of international drug smuggling. From the days of the Vietnam War the CIA has been at the forefront of heroin trafficking. When the Reagan administration needed to finance its war against Nicaragua the CIA applied what it had learned in Vietnam to importing vast quantities of cocaine (sometimes 20 tons at a time) from Latin America, selling it to the Mafia, and using the profits to finance its "covert activities", activities so contrary to America's professed values that they must be concealed at all costs from the American people. I ask Dennis [Dayle, former head of DEA's Centac], "If the following statement were made to American citizens would you agree with it? 'Enormously powerful criminal organizations are controlling many countries, and to a certain degree controlling the world, and controlling our lives. Your own [U.S.] government to some extent supports them, and is concealing this fact from you.'" "I know that to be true. That is not conjecture. Experience, over the better part of my adult life, tells me that that is so. And there is a great deal of persuasive evidence. But I also believe that what you just said can be dealt with very effectively. You can contain drug trafficking by the immobilization of the few cartels who truly control it. There must be conscious decisions, based on fact rather than propaganda, at the grass-roots level of the global community, that the global drug-trafficking situation should not be tolerated." — The Underground Empire, p.1161. Because (some) drugs are illegal, there are huge profits to be made in supplying them to those who want or need them. Legalization would eliminate the enormous profits now being made and would provide a social context in which education concerning the use of drugs was not only respectable but also a social obligation. In the meantime the "War on Drugs" works only to keep (some) drugs illegal and to maintain the profits of the traffickers. Much information about the CIA is already available (see Audiotapes, Videos, CD-ROMs, Books and Articles), but the mainstream media has deliberately ignored this information, and as others have said, if it's not on TV then for many Americans it isn't real. But this is real, and it affects everyone. This is the article which had been scheduled to appear in the Washington Post. After having cleared the legal department for all possible questions of inaccurate statements, the article was scheduled for publication when, just as the presses were set to roll, Washington Post Managing Editor Bob Kaiser (Like George Bush, a member of the infamous Skull & Bones Fraternity) killed the article without explanation. According to the sidebar which appeared with the Penthouse Magazine version of this story, Bob Kaiser refused to even meet with Sally Denton and Roger Morris, hiding in his office while his secretary made excuses. August 23, 1987, in a rural community just south of Little Rock, police officers murdered two teenage boys [Kevin Ives and Don Henry] because they witnessed a police-protected drug drop. The drop was part of a drug smuggling operation based at a small airport in Mena, Arkansas. ... There were CIA operatives who took advantage of the protection their positions gave them, and they participated in saturating our country with drugs. Kevin and Don were victims of this atrocious crime, and it is up to us to expose those responsible. What does Asa Hutchinson (George W. Bush's nominee as head of the DEA) know about Arkansas's biggest drug smuggler? And when did he know it? "... the site is a significant collection of government documents about the murders of Kevin and Don, Berry Seal's drug smuggling, and the federal cover-up of the Mena guns-for-drugs operation." A chronological summary and archive of the Washington Weekly, with links to many supporting documents. America is losing its mind. The two-party system has been utterly homogenized by corrupt money. The mob and Mossad have cut a deal with Wall Street and the CIA to run the world as a global plantation for the benefit of the global plutocracy. Only impoverished presses like the PFP, some talk radio and the Internet are yet outside the hegemonic power of transnational corporate fascism. However, when the Imperial pigs succeed in driving 80 percent of the world into the new serfdom, they will probably wish they had not let their greed glands run wild. When the middle class discovers that they are part of the impoverished and imprisoned rather than the privileged, they will lead the "underclass" in a revolution against the plutocracy and its gun thugs. Failure to deal with the Mena cesspool will continue to erode the credibility of a terminally corrupt governing class. ... knowledge of drug-running through Mena, Arkansas has been known to the FBI and the head of the Arkansas State Police since January 1988 ... The Arkansas Attorney General and Special Prosecutor Walsh have known of this since June 1991 ... How in the hell have the corporate media and government law enforcement succeeded in playing dumb for the past decade? What in my opinion has been involved is a CIA or rogue CIA operation, conducted by the CIA or CIA operatives. To smuggle drugs into the United States from South America, using Barry Seal's drug smuggling operation in Mena. — Linda Ives, mother of Kevin Ives, one of the boys murdered in the Train Deaths. Bill Clinton's Skeleton Closet has links to many articles concerning Mena, Barry Seal, etc. Asked if then-Governor Bill Clinton was aware of the Mena operation, Hayes responded, "No, but his associates were involved." He elaborated that some of the money was laundered through two powerful Arkansas companies with ties to Clinton. The CIA's interest in drugs goes beyond heroin and cocaine. They have always been very interested in LSD and other drugs for use in interrogation and brainwashing. Could it have been possible that some faction of CIA agents, their typical cold war super-patriot minds blown by acid, indeed flooded the country with LSD, not as part of some plot to forestall change or stifle rebellion, but to encourage it, especially in the aftermath of Kennedy's assassination by their dark counterparts within the agency? The CIA has always maintained as a matter of historical record that it has never murdered an American citizen on American soil. If ... this turns out to be a lie, it could well be the beginning of the end of the Agency. For more on these topics see The CIA, MKULTRA and Timothy Leary and Project Monarch. How mental patients in Montreal were subjected to CIA-sponsored brainwashing, including the use of LSD and PCP. In fact a book has been written on this subject — Father, Son and CIA, by Harvey Weinstein. Here is Chapter 9 from that book, Supply and Demand, concerning the origins of the CIA and its interest in brainwashing techniques. The CIA is not now nor has it ever been a central intelligence agency. It is the covert action arm of the President's foreign policy advisers. In that capacity it overthrows or supports foreign governments while reporting "intelligence" justifying those activities. It shapes its intelligence, even in such critical areas as Soviet nuclear weapons capability, to support presidential policy. Disinformation is a large part of its covert action responsibility, and the American people are the primary target of its lies. After a long legal battle with the CIA censors Ralph McGehee published in 1983 his account of the CIA in his book Deadly Deceits (from which the paragraph above is quoted). A synopsis of this book is atRalph McGehee, The CIA and Deadly Deceits (specifically here). ... a computer data base on the Central Intelligence Agency that provides a vital, easy-to-use historical resource for policy makers, academicians, journalists, and students. The CIA has officially acknowledged that McGehee's CIABASE activities were legal and constituted no threat to "national security" (click on the image at right). Yet he has recently been harassed both by the CIA and by the FBI, involving bodily injury, and his CIABASE website was shut down. I moved to Florida in July 2000. Immediately the harassment I experienced in Herndon transferred here. A major difference is that the FBI here openly advises I am a threat to National Security — because, I assume, I tell unclassified truths to the American people. In 1990 the CIA officially advised me in writing that I may use any information in the public domain — making the FBI's actions against me false if not illegal as I have never and will never expose secret persons or information. Harassment here has grown to such a degree that I fear staged incidents to arrest me for something — anything. I base my actions on what is in the best interests of the United States. This may be difficult to believe given my negative commentary, but I participated in and watched CIA operations in Vietnam and other countries nearly destroy the US/us. The CIA said I was an analyst with few peers and awarded me its Career Intelligence Medal. I use this ability and those experiences to inform about the CIA's many opportunities and deficiencies. Anyone wishing to know more may find details via a Google search under my name. Information about the CIA's assassination program in Vietnam. William E. Colby on July 19, 1971, before Senate Subcommittee testified that CIA's Operation Phoenix had killed 21,587 Vietnamese citizens between January 1968 and May 1971. Information warfare, the manipulation of public opinion, in particular US public opinion, is the final determinant of the success of [a CIA] operation. In this sense, it can be said that the US public is one of the main targets of the CIA in any covert action. This level of organizational hubris, combined with the cloak of secrecy, render the CIA as a threat to the continuation of our democratic system. In 1953, the CIA included plans for 'K' groups, or assassin teams, to work with sabotage groups, and rebels began training assassins. CIA headquarters in Washington sent 20 silencers for .22-caliber rifle to the rebel killers training in Honduras, said a Jan. 11, 1954, cable. In the spring of 1954, CIA officers made official requests to the State Department to implement assassinations. ... Three weeks before President Arbenz resigned, a CIA field officer met with officials in Washington to submit the political assassination plan in person. The Central Intelligence Agency — the lair of the beast itself. You are entering an Official United States Government System, which may be used only for authorized purposes. Unauthorized modification of any information stored on this system may result in criminal prosecution. The Government may monitor and audit the usage of this system, and all persons are hereby notified that use of this system constitutes consent to such monitoring and auditing. Sounds like the CIA alright. We could hardly expect otherwise from a bunch of control freaks. They've now moved this notice to a lower-level page. If you'd like to see what's on their web site but don't wish to attract the attention of the spooks then view it anonymized (courtesy of The Anonymizer). "You could get a journalist cheaper than a good call girl, for a couple hundred dollars a month." — CIA operative discussing with Philip Graham, editor Washington Post, on the availability and prices of journalists willing to peddle CIA propaganda and cover stories. This web site contains the article "Tales from the Crypt: The Depraved Spies and Moguls of the CIA's Operation MOCKINGBIRD" by Alex Constantine. Given the power granted to the office of the presidency and the unaccountability of the intelligence agencies, widespread illegal domestic operations are certain. We as a people should remember history and not repeat it. It is therefore essential that the CIA be reorganized and stripped of its covert operations capability. Effective congressional oversight is also an important condition for ending the misuse of the intelligence apparatus that has plagued every U.S. administration since the formation of the CIA. A great deal is at risk our personal freedoms as well as the viability of this society. The CIA must be put in its place. Should we demand or allow anything less, we will remain vulnerable to these abuses and face the risk of decaying into a lawless state destined to self-destruction. A sidebar to the preceding article. Excerpts from a talk by John Stockwell, who served as a CIA case officer in Africa and in Vietnam. He was commander of the CIA's secret war in Angola in 1975 and 1976. Philip Agee on the connections between Bush's military adventures in the Gulf and Truman's military adventures in Korea. The CIA and the Gulf War A talk by John Stockwell. But the key to understanding this system is that these ARE NOT U.S. corporations. Not anymore! They are multinational corporations, on a welfare dole from the U.S. taxpayers, producing MX missiles which are put in holes in the ground, which can never be used, and producing Tomahawk missiles and everything that we're pouring into the desert at a million dollars a shot ... [The] course that we are on will definitely lead, eventually, to rendering this planet UNINHABITABLE. Now, it won't happen in five years or ten years. But eventually, unless we profoundly change what we are doing, there will BE NO MORE warm-blooded life on this planet. Sooner or later, we MUST change or we will destroy ourselves. A transcript of a five-part radio program series on the CIA and its involvement in Australia and in New Zealand, including an account of its overthrow of the Whitlam Government (originally at http://www.cia.com.au/vic/cia.html). Just two days before a Federal Parliamentary debate was due on the American satellite bases, a CIA telex arrived in Canberra. It warned that Prime Minister Whitlam was in danger of blowing the lid off Pine Gap. The next day, the Whitlam Labor Government was dismissed [by the Australian Governor-General]. The #59 issue of CovertAction Quarterly has a very interesting article by New Zealand writer Nicky Hagar about the Global Surveillance Network, which is the means whereby the spooks of the U.S. and the U.K. (and to a lesser extent those of Canada, Australia and New Zealand, making up the five countries in the UKUSA espionage 'alliance') are able to eavesdrop on every international telex, fax and email message (including yours). This is the ECHELON system. Plenty of other governments besides the U.S. and the U.K. are interested in spying on their own citizens. Germany (though it does not receive information from the ECHELON system) is one such country. Excerpts from The Underground Empire — Where Crime and Governments Embrace, by James Mills (Doubleday, New York, 1986; Sidgwick & Jackson, London, 1987). These were uploaded to the CIADRUGS mailing list in June 1997. Information [about Centac] continued to pour in. Phone calls came from as far away as Hong Kong, classified documents appeared in envelopes with no return addresses, a forty-pound cardboard carton arrived packed with CIA documents stamped SECRET. No more than a handful of men in the world understood completely what Centac was and what it did. Though Centac was controlled from a position within the Drug Enforcement Administration, its operations and power reached far beyond that agency. But leaders of source country governments, seeking foreign exchange or personal enrichment, frequently participated in the [drug] traffic themselves, and the American State Department and CIA, seeking to retain military, diplomatic, and intelligence allies, were loath to blow the whistle. Another secret cable, four pages in length, from the CIA's Bahamas station reported government corruption with astonishing precision, detailing not only the names of a half-dozen bribe-taking officials but the exact amount of the bribes ($50,000 to over $100,000) and specifically what favors they bought. At least one DEA official expressed shock, not so much at the revelations as at the thoroughness with which they were known. It was almost as if the CIA had been involved in some way. When Noriega later visited Washington, the CIA tried to prevent his meeting with DEA Administrator Francis Mullen. ... Evidently the CIA did not want Panama's boss establishing direct relations with the leadership of DEA. "Why not?" I asked an agent familiar with Noriega's visit. "Because the CIA takes the position that 'We have the total picture. We see things you don't see. You don't know it all.'" And surely that is true. Only the CIA knows it all. You do not have to be a ClA-hater to trek around the world viewing one major narcotics group after another and grow amazed at the frequency with which you encounter the still-fresh footprints of American intelligence agents. You might never be absolutely certain the footprints shouldn't be there, but you will always be uncomfortable that so many solemn men in pinstriped vests are lying about them. The tracks are everywhere. But the CIA defied the DEA and they shipped this pure cocaine into the United States in 1990, and they have since acknowledged that they defied the laws of this government and allowed the drugs to be sold on the streets of the United States of America. I challenge anybody to tell me that it did not happen, because it is documented. This document concerns an amendment to legislation pending before the U.S. House of Representatives. This amendment, put forward by Ms. Maxine Waters, Democrat from California, would establish a commission to be known as the "Clandestine Drug Study Commission" to investigate the involvement of the CIA in the smuggling of drugs (in particular, cocaine, in ton quantities) into the U.S. and the subsequent distribution of those drugs. The amendment was opposed by representatives Goss from Florida and Dixon from California. The discussion ends with the withdrawal of the amendment by Ms. Waters, perhaps because the votes were not there to pass it. The discussion is interesting, revealing on one hand the courage of Ms. Waters and her desire to bring the facts of this matter to the attention of the American people and, on the other hand, the willingness of representatives Goss and Dixon (despite their apparent agreement with the aims of Ms. Waters) to block this inquiry and to participate in the cover-up-as-usual. Some would have us believe that only paranoids believe in conspiracies. Is this what certain people want us to believe? And why? Jonathan Kwitney's Wall Street Journal article on the attempt of the Reagan administration to accuse the Sandinistas of smuggling cocaine into the U.S.
Information available from the CIA under the Freedom of Information Act. A book by an academic and a journalist which exposes the lies and hypocrisy behind the Drug War. The Bay of Pigs — it seems that the CIA sabotaged its own operation in order to try to force President Kennedy into ordering a full-scale invasion of Cuba. For details see Michael D. Morrissey's The Bay of Pigs Revisited. There is (or was) a Usenet newsgroup concerned with the CIA, alt.politics.org.cia. Here are some postings from this newsgroup. There was a mailing list concerned with the drug-smuggling activities of the CIA: the CIADRUGS mailing list. See some messages to this list.